Card counting is one of the most widespread strategies as it is extremely efficient and accurate if applied correctly. As Blackjack is a casino game which can be won by using a reliable strategy and having appropriate skills, it has become one of the most played games of all times. In order to increase their chances of winning and gain advantage over the casino, over the years many professional gamblers have developed a number of different methods. Players can greatly benefit from them, however, only on the condition that they put a lot of efforts and time to learn how to apply them efficiently. It is also compulsory to have discipline, money management skills and solid knowledge about the basic strategy. This is the only way they will be able to achieve the desired result and improve their game. One card counting system which grows in popularity more and more is the so-called KISS system (Keep It Short and Simple). This method has been improved and developed a few times which resulted in two more variations – KISS II and KISS III. They are all designed to be very easy to learn and understand and their simplicity makes them perfect for beginners. Even though they are all moderately simple, their level of efficiency is high and every time the system was updated, it was a step in the right direction. The book Blackjack Bluebook II – The Simplest Winning Strategies Ever Published, written by Fred Renzey, is one of the reasons why the KISS systems are so well-known among Blackjack players. They give them the opportunity to finally use a card counting strategy that is both simple and efficient. Their counting principles differ from the rest of the popular methods which makes them worth getting familiar with. All of the KISS systems are considered to be unbalanced ones which is good news for many players who struggle to convert the running count into a true one. 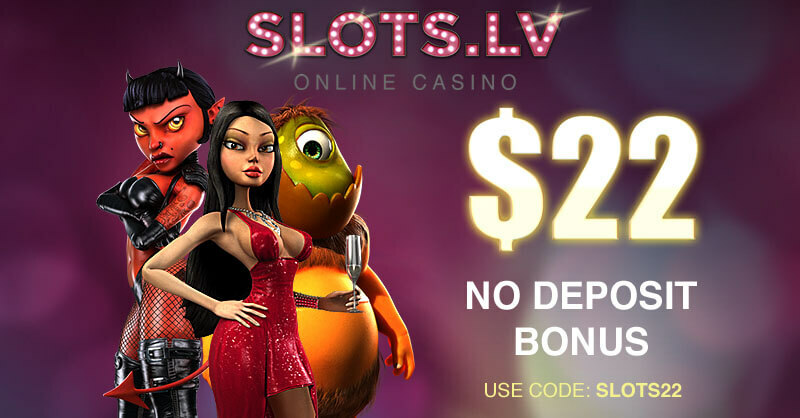 Their main difference is that each one of them gives players higher or lower chances of gaining advantage over the casino. KISS I was established first and therefore, the edge it gives players is the lowest. Over the years its updated versions KISS II and KISS III have been especially developed to help them make better decisions and most importantly to have better chances of gaining advantage over the casino. This is the reason why the initial system is hardly ever used as its better versions are available. The KISS I or just KISS in terms of difficulty is level one system as it is significantly simplified in comparison to the rest of the card counting systems. As already mentioned, its main principle is extraordinary due to the fact that instead of assigning point values to every card of the same rank it works by omitting half of the cards in the deck. This way, players don’t have to remember so many assigned values and count so many cards. This also significantly decreases the chances of getting confused while keeping track of the cards and thus, it is easier to be applied in the casino setting. However, as already mentioned, the initial system is not used by many nowadays as it’s considered to be unable to provide enough advantage for the players. It is simply viewed as the foundation of KISS II and KISS III and it is best to learn its updated variations instead. They are definitely worth a shot and players should take their time to observe their patterns. The KISS II system remains moderately easy but this time it significantly improves the chances players have to gain advantage over the casino and therefore, make better decisions for their moves and bets. It is also level one and due to its simplicity, this system works best when the game is played with one deck only. 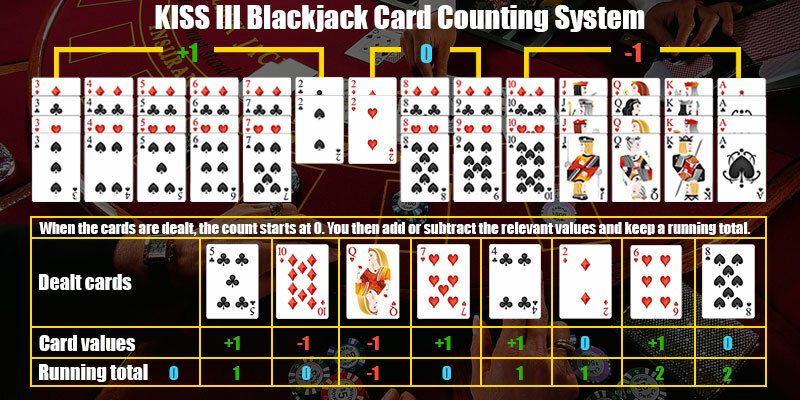 The assigned point values for the cards according to this system are the following: ten and all the face cards get minus one, the cards from three through six are counted with plus one and the rest of the cards get zero, except for black two. Such cases require special attention as they are counted according to their colour – black two gets plus one value and red two gets zero. Players need to take their time and remember this subtlety. This is the latest variation of the popular KISS system and it is especially designed to meet the players’ needs nowadays as it takes into consideration the established modern trends at most popular places. It is no secret that it is very hard to find a table where Blackjack is played by only one deck as many casinos realise that this helps card counters keep track of the card and gain advantage more easily. In contrast to KISS II, KISS III is appropriate to be used when multiple decks are involved in the game as its plan is a bit more complicated. This time more cards have an assigned value in order to provide the needed accuracy. The assigned point values of the cards in this strategy are as follows: the face cards and ten get minus one, however this time along with the ace. The cards from three through six get plus one value and this time, seven also joins this group. The rest of the plan is the same as the plan for KISS II – black two gets plus one value and all other cards get zero. 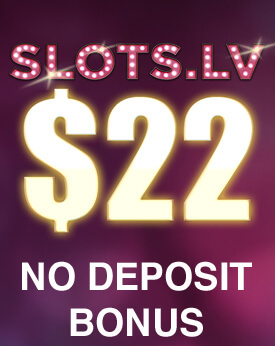 Understandably, this system is considered to be the best of all the KISS systems as it gives players the highest chances of gaining advantage over the casino and winning. Its betting correlation or in other words, its efficiency at giving players an edge over the casino, is 0.98. This is an indicator on itself that this version has everything needed in order to compete with the rest high-class card counting systems. Thanks to it, players have the chance to adjust their bets accordingly and prevent themselves from losing money and at the same time, take advantage of the situations when they are in a favourable position. KISS systems are impressive due to the fact that they manage to provide players with a plan which is both efficient and simple. Not many card counting systems are able to achieve this spectacular combination because most of them need to be very complicated in order to be accurate. KISS II along with KISS III systems are easy to grasp and therefore, applied when needed. This is the reason why they are suitable for beginners who want to improve their performance at the table. However, even though they are significantly simplified players need to bear in mind that they still require a lot of practice and efforts if they want to make them work.